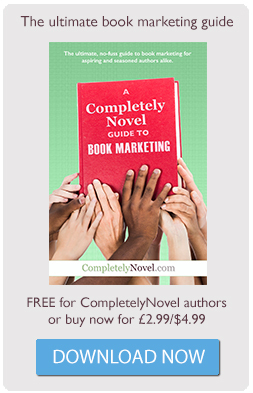 Simply making your book available for people to buy isn’t enough to build a writing career. Building an audience and attracting potential readers is a task that you need to be willing to undertake, whether you are publishing your own books, or being published by someone else. So how does an unknown author begin marketing their book? The first thing to do is accept that it is going to take a lot of hard work. Fortunately, the more work you do, the more rewarding it will be – not only in the increase of book sales, but also through the people you’ll meet, the things you will learn and the opportunities you will open for yourself. There is a great community of authors on the CompletelyNovel website who are there to share tips with and get support from, so make use of them. To get you started, we have compiled some information below, including a link to a FREE marketing schedule template, and an example of what the schedule of a Bestselling author looks like. A marketing strategy is a document that puts all your book marketing ideas into one place. It will assign dates to each task, and give you a clear schedule of things to do. It will also allow you to break down each task into manageable chunks, which you can work through at your own pace. The marketing strategy is also a great place to include a list of contacts and what they do, and details of your author brand, including your various profiles and logos, for reference. What does a Marketing Strategy Include? There are tips on what to fill out in your author brand document, cover on our author brand advice page. The first thing to do is write down as many contacts as possible; anyone you think will help you market your book. These can be people you know in the press, local and national bookshops, magazines you are subscribed to, bloggers and people you know on twitter who have review pages – everything. Make sure you include CompletelyNovel in there, too – we are always happy to retweet and share posts from our authors. To work through methodically, you might want to start locally and then move your circle out, slowly. Start thinking creatively, too. Are there any local groups that you are involved with that you could speak to about your writing experience? Your creative writing brain will help you a lot here! Label these contacts and put them into groups so that you can customise your approach for each group. For example, you might have different groups for local, national and international press. You may have a group of readers who have simply taken an interest, other writers you know, friends who are bloggers etc. There are two main elements to a marketing schedule. The first is to create a timeline of when you are going to fit in all of the different tasks that form part of your marketing campaign. These tasks may need to be done before you officially launch your book (e.g. setting up social media profiles, sending out review copies, inviting people to your launch party) or may come afterwards, such as contacting blogs to offer guest blogs, or book giveaways. Give yourself deadlines for each task. You may need to repeat some of them as you target different batches of people. Writing all of this down helps you ensure you are being realistic with your time, and also helps you focus as you go along. We have created a Marketing Schedule template for authors, to help you keep track of your marketing. You can download a copy here and save it to your desktop. 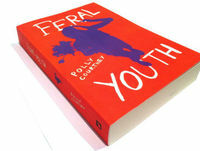 Bestselling author Polly Courtney has also shared her extensive marketing schedule with us for her book, Feral Youth, so you can get have an idea of what kind of marketing a self-published author might do to have a successful book. Remember that you should design your schedule in a way that works for you. Polly uses colour coding to see what she has done, but you could use words, numbers or even pictures! Download a copy of Polly’s Schedule here. Fill out these sections for each of your contacts and use this for any of your tasks which involve getting in touch with people so you don’t lose track of what you’ve done, and who you need to chase. If you’d rather avoid spreadsheets, there are lots of online tools that can help you do this. At CompletelyNovel we like using Streak (a free gmail plugin) as we tend to contact most people by email anyway, but some people prefer Customer Relations Management tools such as Highrise. Your marketing schedule should be constantly evolving as you make your way through contacts and add new ones. Keep at it and remember to have fun! For more information on what to include in your author brand, visit our advice page. We have also compiled a list of articles on promoting your book online and in person, below. Have a read through and make notes on which ones you think you might be able to do. Remember – the more things you try, the better!